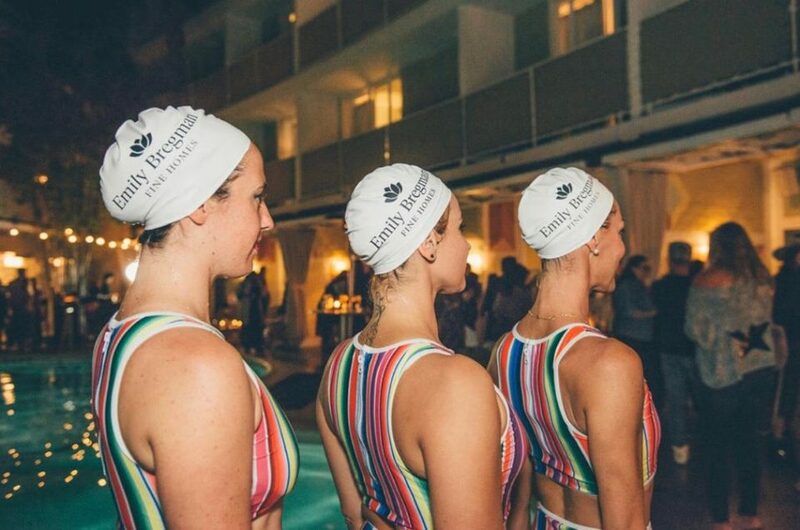 When two of the world’s coolest sporting fashion brands collaborate and come knocking at your door to get involved, you know something great is going to happen. We are always looking for the next innovative way to use our skills to create something unpredictable and remarkable. 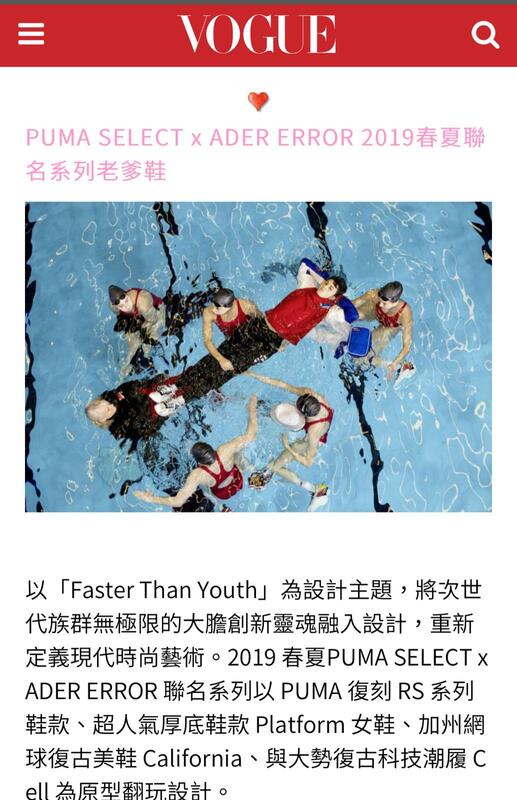 So when approached by The Production Factory to provide a team of elite synchronised swimmers to feature in the Spring/Summer 19 campaign for the collaborative capsule collection for ADER error X PUMA, we couldn’t wait to get started. The shoot took place in the old school, yet perfectly atmospheric, swimming pool at Charing Cross Sports Club in Hammersmith. 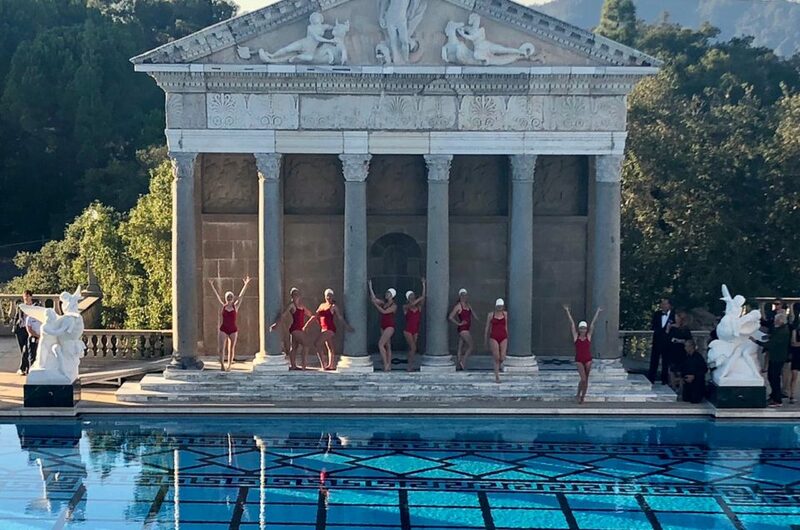 For this project we selected five of our top models who are not only some of the best synchronised swimmers in the country, but are also incredibly experienced underwater artists. ADER Error launched the campaign via social media with a series of teaser videos to gain momentum and grab the worlds attention. 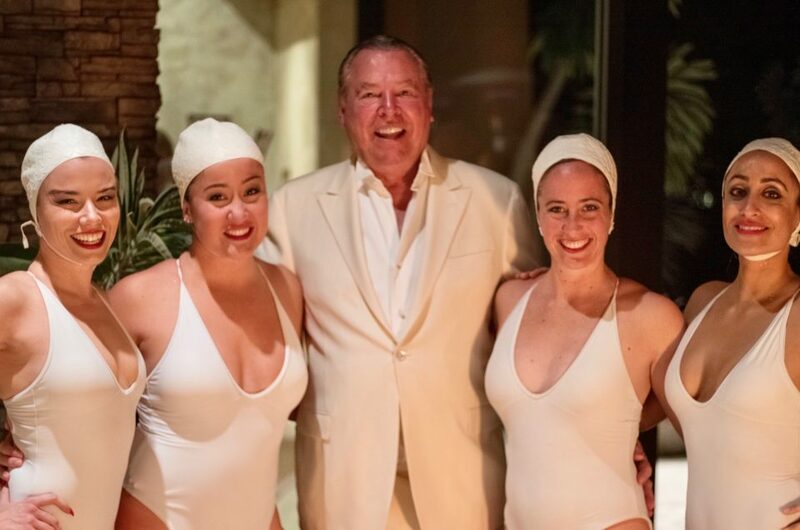 It became clear from the very start that our synchronised swimmers were the main focus of the campaign both in and out of the water. 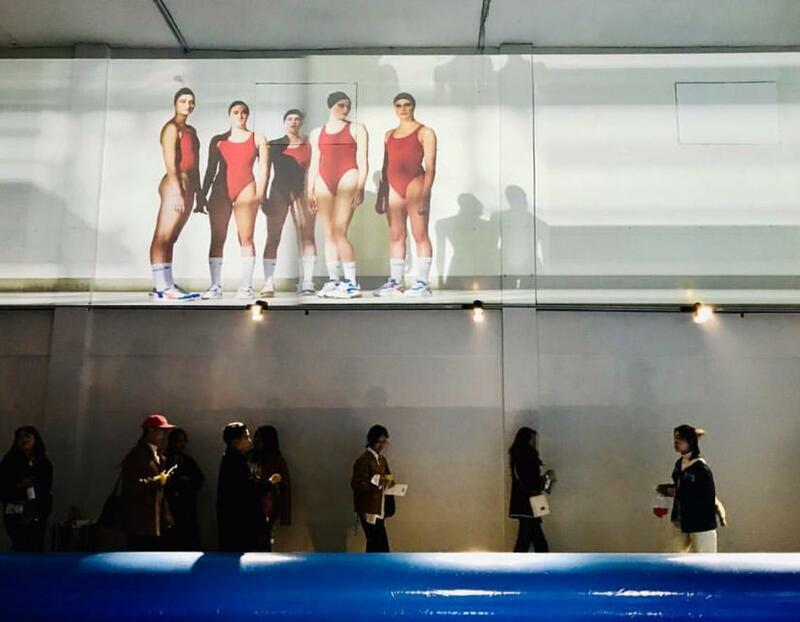 The main launch event took place in Seoul, Korea where huge images of our swimmers where mounted on the walls and the campaign videos were projected onto a giant screen above the crowds. 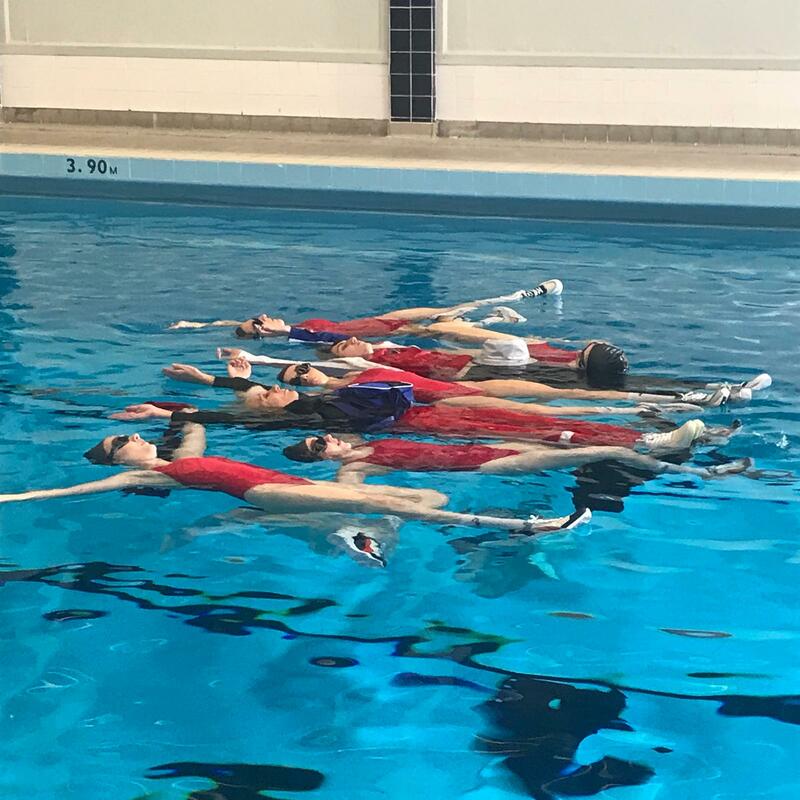 Wearing futuristic sneakers with a back heel piece and long sport socks from the ADER X PUMA collection, our model swimmers created amazing shots both on the poolside and in the water. Working alongside the Creative Director from ADER Error, Aquabatix created a series of choreographed movements that effortlessly showcase the design features of the sneakers and collaborative brand in a way that has never been done before. 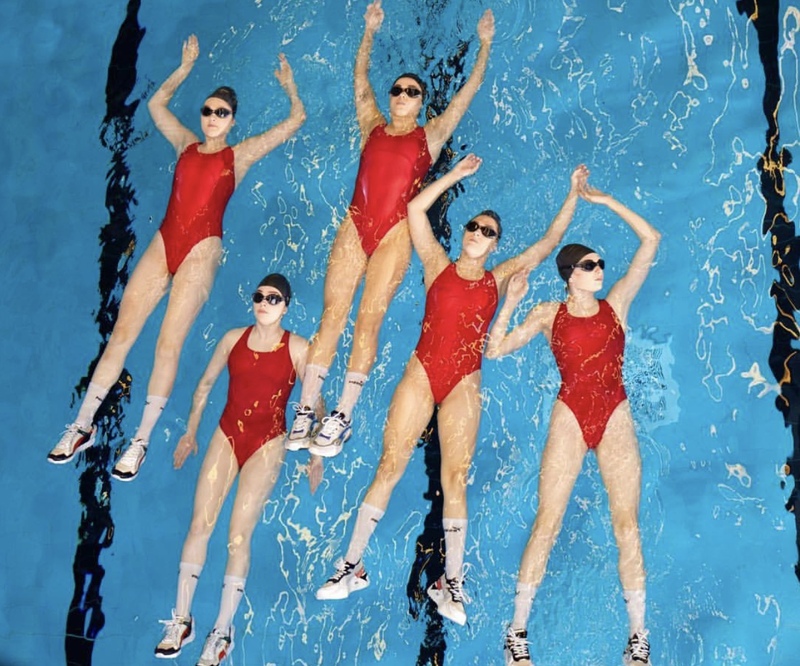 Although the sneakers are not created to be worn in the water, somehow the futuristic design doesn’t look out of place on the feet of synchronised swimmers. The campaign has been a huge success and gained coverage in Vogue, Marie Claire and other high profile magazines. The images of our swimmers in long sports socks and sneakers is so strong that it even features at front of store for Puma. Based in Seoul, ADER Error is more than a designer brand; they are an artistic collective, working together to change the landscape of art and fashion. Their motto, But near missed things, is all about finding inspiration in the ordinary – reframing and remixing the mundane to create something unexpected and beautiful.